STOCKHOLM -- Commercial vehicle components maker SAF-Holland has made an all-cash offer worth 4.2 billion crowns ($491 million) for Swedish brake systems group Haldex which said it had also received a bid from a rival suitor. "Coincidentally there is another bidder too, so we will consider that and also consider the other," Goran Carlson, Haldex chairman and one of its largest shareholders, told Reuters. He said talks with both suitors had started within days of each other. SAF-Holland said its 94.42 crown per share offer, a 10.8 percent premium to Haldex's closing price on Wednesday, was conditional on it gaining control of more than 90 percent of the shares. It also said it had bought a 3.6 percent stake in Haldex. The premium is low compared to previous takeover offers for listed Swedish manufacturing companies. Finland's Scanfil, for example, paid a 27 percent premium for Sweden's Partnertech last year. Premiums in initial offers for metal-powder maker Hoganas and humidity control firm Munters were 17 percent and 30 percent respectively. Both ended up being bought out at a higher price. SAF-Holland, which aims to reach 1.5 billion euros in sales by 2020, said it would benefit from an expanded product range if the deal went through and that Haldex would help it to meet its sales goal ahead of time. "Together, we would form a one-stop shopping solution provider for a wide range of components," Detlef Borghardt, CEO of SAF-Holland, said in a statement. 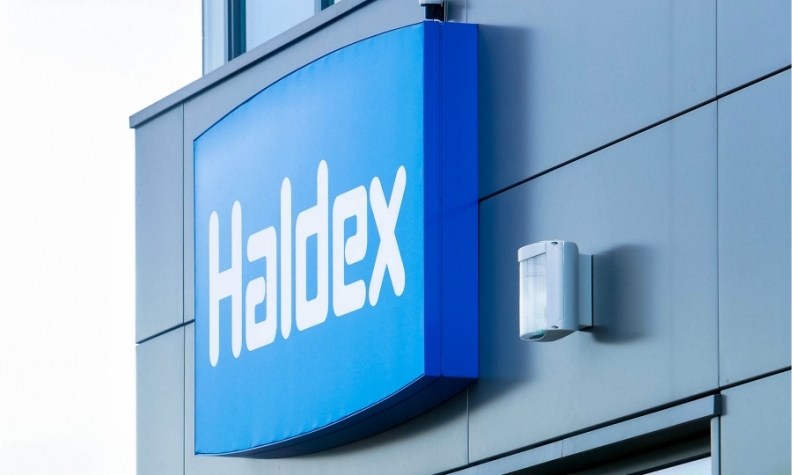 The Germany-based company said Haldex would boost earnings in the first year after a deal and that there would be significant growth potential for the combined business in the following years. Haldex has been selling disc brakes to SAF-Holland for a number of years. "It's a really large customer," Carlson said. "Their intention is to dress their axles with our brakes, to integrate in some way." Berenberg is advising SAF-Holland on the deal. Lazard is advising Haldex.